Soft touch surface is gentle on clothes and provides a firm non slip grip. 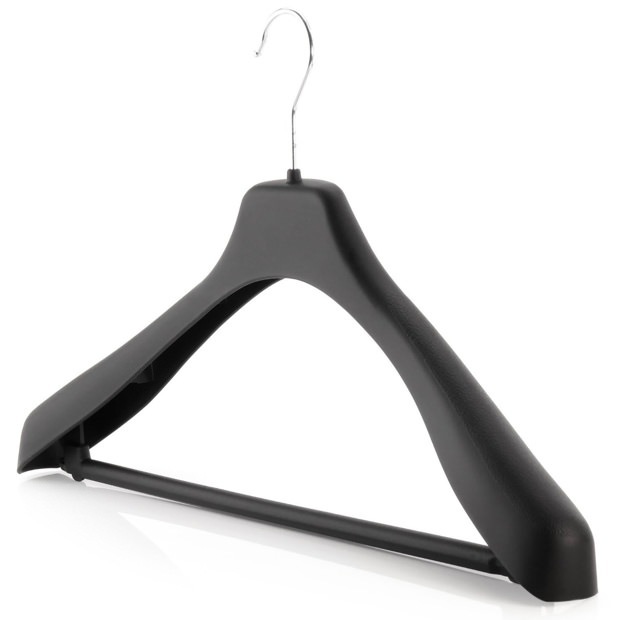 4cm broad arm profile gives extra shoulder support to help keep garments in shape. Lower notches for skirt and trouser loops. Slight wishbone design, durable and strong. Chrome swivel hook with rounded end. Ideal for suits, jackets, trousers, coats, uniforms, skirts, dresses etc.